Richard, a Tattoo Artist, with his son in front of the only Gas-Station in Hays. Hays is a small community with around 800 people near the reservation's southern end. People come here often as it is the only place to get a little snack or soda without driving a lot further off the Reservation to the next grocery store. Richard is also a very successful bow-hunter. 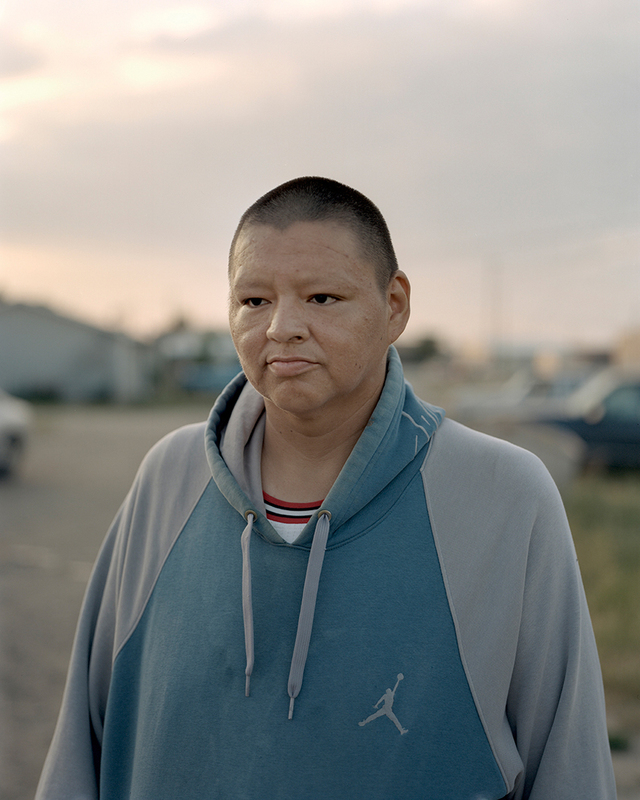 Please enjoy my conversation with German photographer Felix von der Osten who spent several weeks on a native american reservation and photographed daily life. Felix von der Osten (b. 1989) is a freelance documentary photographer and Drone Pilot from Germany. He is specially interested social and cultural issues documenting it with analog large- and medium- format photography, as well with the Wet Plate Collodion process. In 2014 he attended the class »Advanced Visual Storytelling I+II« at the Danish School of Media and Journalism in Aarhus (DK). He currently lives in Cologne and completed his Bachelor in 2016 at the University of Applied Sciences and Arts Dortmund. Afterwards he will attend the Masters program as well. Von der Osten won the »Breakthrough Award« of the Britisch Journal of Photography as well he was named an »Emerging Photographer« by PDN. He also got into various finals of photography competitions as the ‘Leica Oskar Barnack Newcomer Awards’ or Magnum’s »30 under 30«. At the end of 2015 he attended the 28th Eddie Adams Workshop (XXVIII). His photographs were published f.e. in CNN, BrandEins, Photographic Museum of Humanity and the GUP Magazin. He also exhibited internationally. In his free time he is a Magician specialised in Slight-of-hand Card Magic. Stephen during the Veterans Powwow do honor all warriors. A Powwow is a traditional gathering to meet, dance and sing. 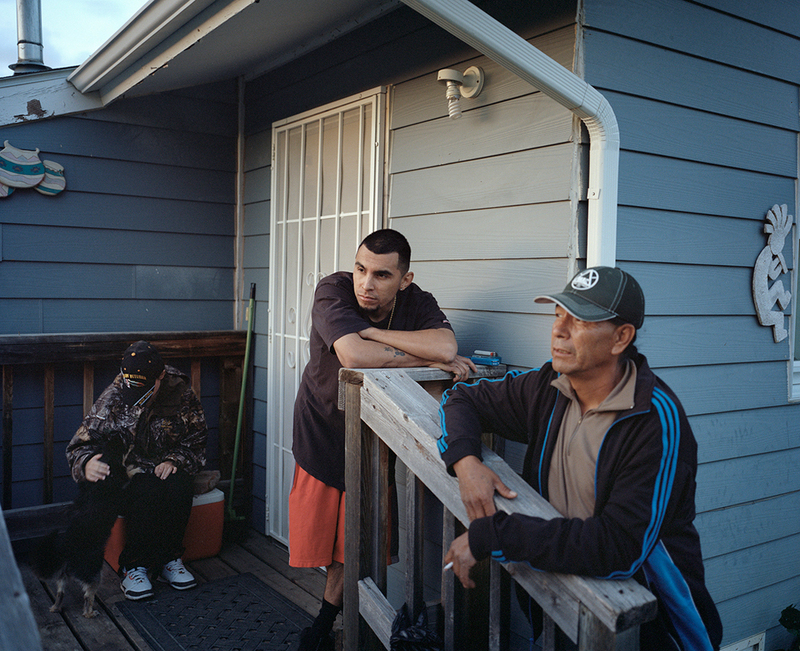 There are over 450 veterans in Fort Belknap, by 2800 people living there. 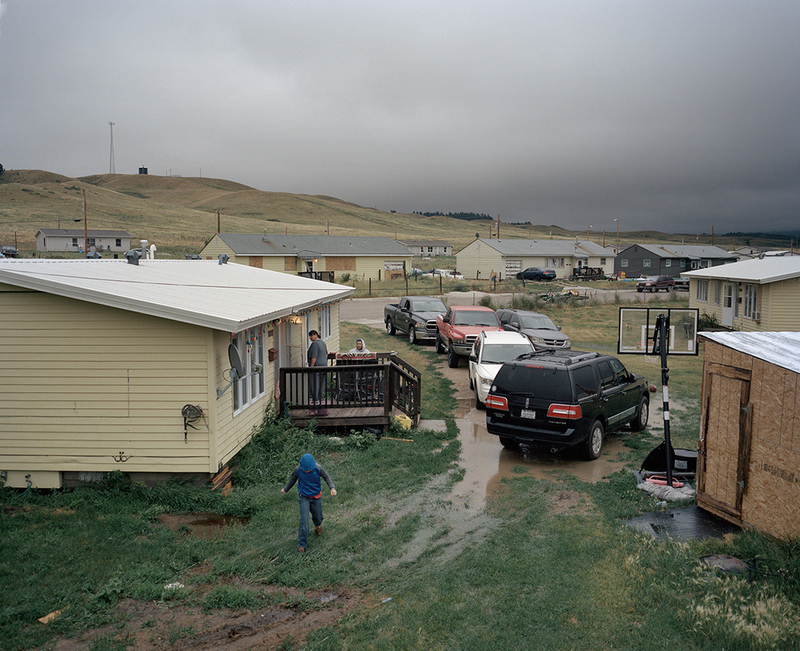 A barbecue party in Lodgepole, a small settlement in the south of the Reservation. The social time is used to tell stories or to play the stick guessing game. A cultural game where two teams play against each other while they try to distract you by singing and playing the hand drum. Very high unemployment rates are common, as is the amount of people living below the poverty line, Diabetes and drop-out rates out of school. This is the reason almost no business is possible on or with a Reservation. No one want to risk to open something in a place far away of any urban center. People are trapped here. Richard, a Tattoo Artist, with his son in front of the only Gas-Station in Hays. Hays is a small community with around 800 people near the reservation’s southern end. People come here often as it is the only place to get a little snack or soda without driving a lot further off the Reservation to the next grocery store. Richard is also a very successful bow-hunter. 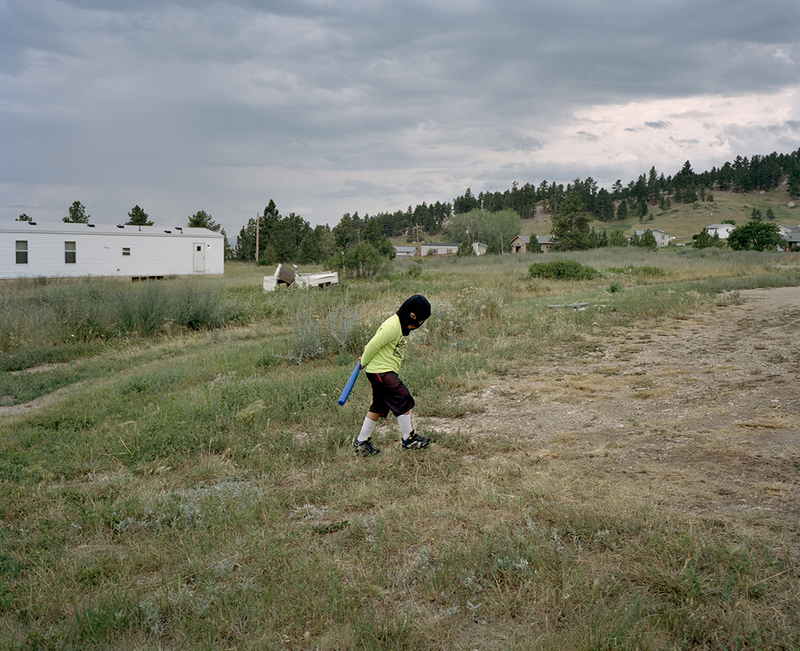 Marcus Gone playing “Army” and killing bad guys in the backyard of his Mothers House near Hays at the south end of the Fort Belknap Indian Reservation, Montana. Leonard “The Boy” Jr. in front of his duplex-home at the Fort Belknap Agency, right after his afternoon walk. Leonard takes two daily walks in a long-term effort to change his life and to meet people to talk to. 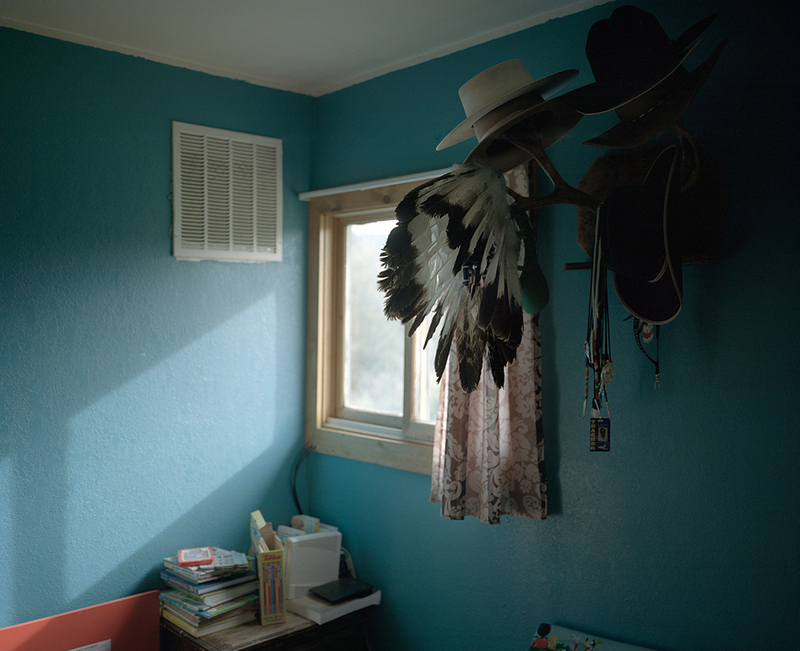 A war bonnett hangs in the home of Kenneth “Tuffy” Helgesson underneath his collection of cowboy hats, in Lodgepole. Helgesson is an important member of the Assiniboine community; he is one of the few remaining natives who is fully fluent in their language, and is a strong advocate for the continuation of traditional culture. Because of his skills and belief in the importance of maintaining culture, Helgesson is a teacher at the local public high school, where he teaches language and culture classes to future generations. A fire breaks out during Fourth of July celebrations near the home of Jill Plumage, at the Fort Belknap Agency. Neighbours come running to help subdue the fire, caused by a home fireworks display gone awry, with shovels and spades while they wait for the Tribe’s fire department to arrive. 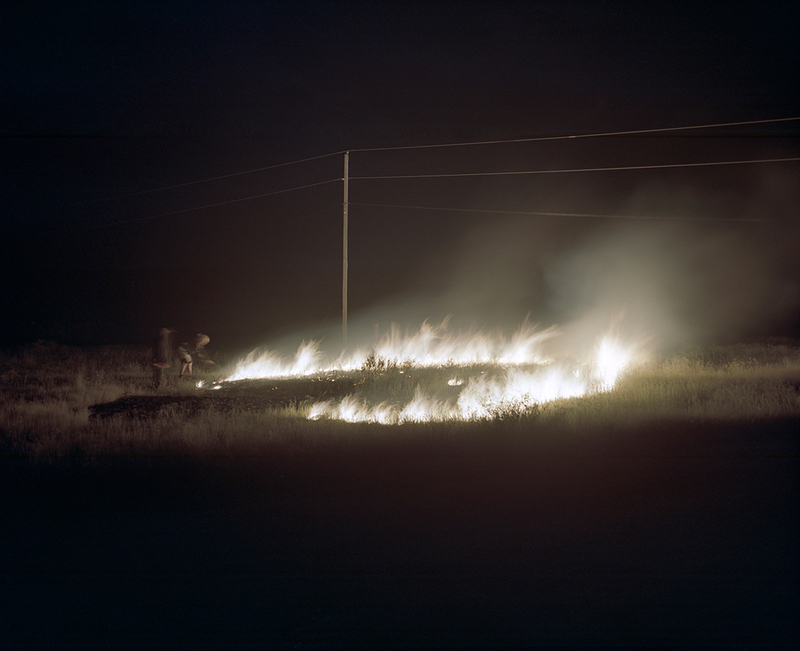 In northern Montana, where the reservation is located, by mid summer the earth is scorched and the grasses are dried, making the land highly flammable and susceptible to large fires. A fresh hide is laid out on the grass minutes after it has been removed from the caracas of a young buffalo after a successful ceremonial buffalo hunt. 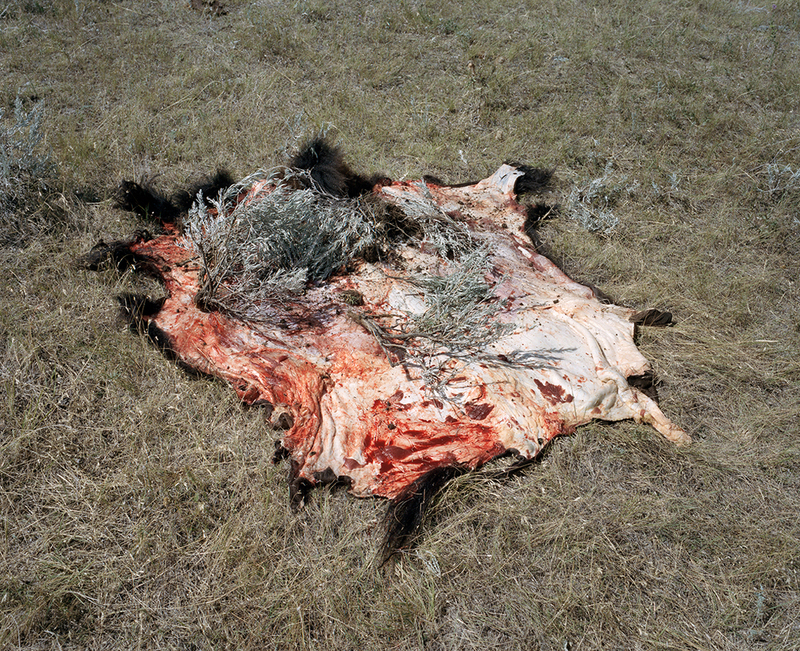 Dried dung, found in the immediate area where buffalos were previously grazing is placed in the hide along with fresh sage pulled from the earth, for ceremonial purposes and to absorb the moisture. The hide and the contents will be rolled up for transportation, and in the coming weeks it will be tanned and and then presented as a gift to a tribal elder. 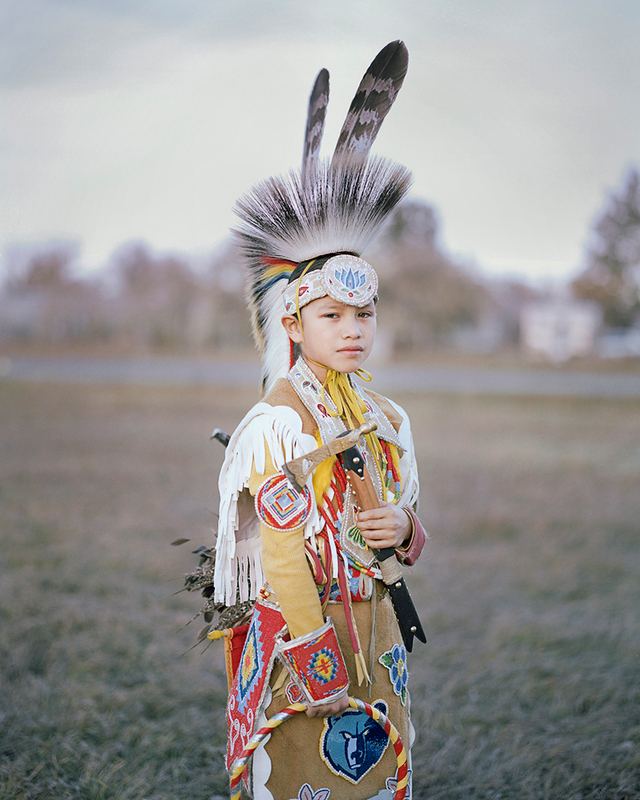 Kenneth, 12, prepares for to compete in the children’s rodeo the Lodgepole Powwow. 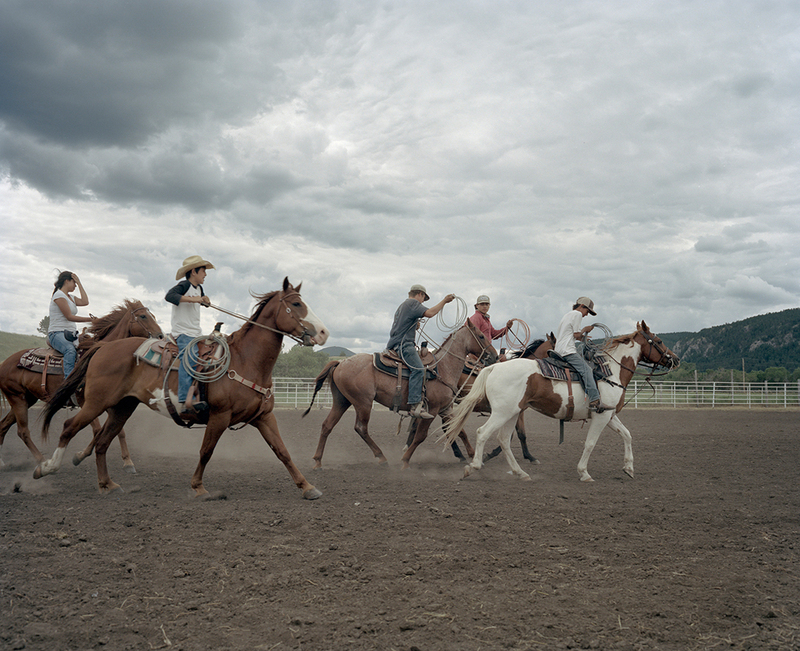 During the rodeo, Kenneth will ride on horseback and catch a running calf with his lasso. The winner is the child who ropes their calf the quickest. Kenneth is more or less raising himself while living in his grandparents house, because his parents are not able to care for him. Kenneth was exceptionally ill when he was born and doctors said that he wouldn’t make it more than a couple months. 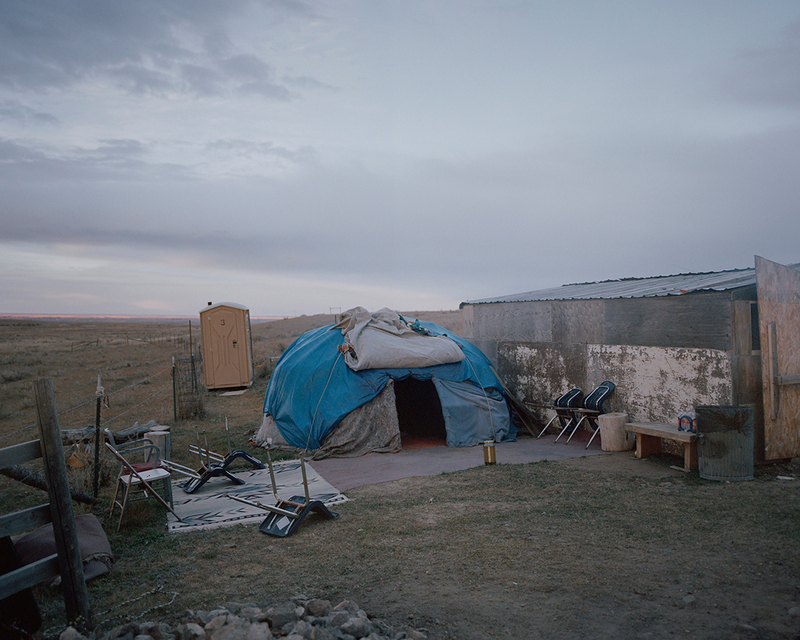 A sweat lodge on Peter Big Stone’s property outside of the Fort Belknap Agency. During this traditional »sweat« ceremony glowing stones and splashed water should recreate the feeling of the mothers womb. Here people pray and sing to the animal spirits and ask the creator for help. Native youths and teens warm up before competing at the children’s rodeo at the Wasay Wakpa Wachi Powwow in Lodgepole Montana. Children on the Rez are practically born on horseback; many learn to ride shortly after they learn to walk. Children are allowed to ride far distances unsupervised. They hang out with their friends on horseback and are allowed to use them for mobility the way urban kids might hang out on bikes or skateboards. Jasper Lewis and his girlfriend Aliyah Eagle Man near a pond where they went swimming on the Fort Belknap Indian Reservation, Montana. Jasper is 18 years old and works with horses, though he wants to be a mechanic. He recently broke his first horse, a half Indian Pony called “Blue Lodgepole”. 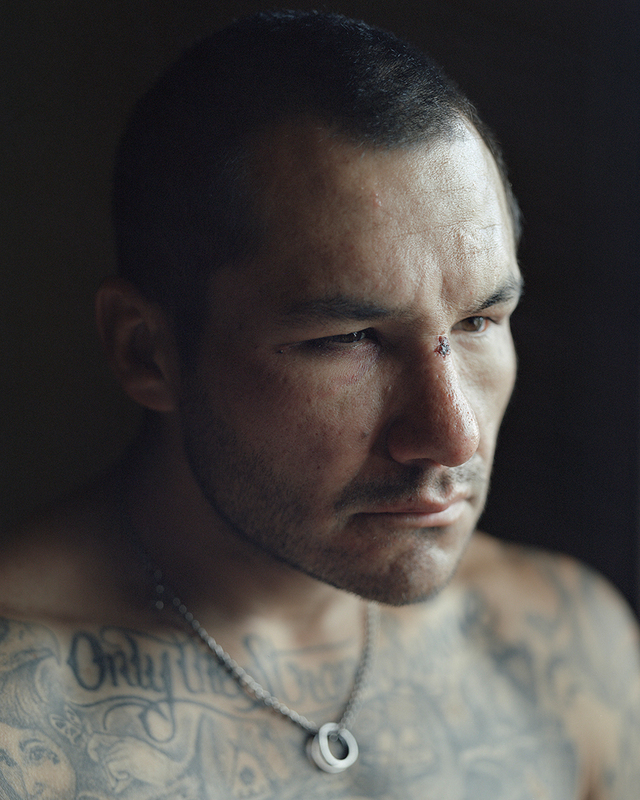 His girlfriend Aliyah is from Rockyboy Indian Reservation, which is around 80 miles from Fort Belknap. Richard “Bhes” Gone Jr. plays with his brother Marcus and cousins in the Little People’s Creek in Hayes, Montana. The boys hiked to the creek with their step-father; a three hour adventure through the canyon of the Little Rocky Mountains. Because it is so hot in the Montana summer, wet clothes are a relief and they dry within minutes, though the spring water is ice cold. Russell Denny’s brother just moved back to the Reservation from Denver, in search of a fresh start with his girlfriend and new baby. The three moved into his mothers house, in Lodgepole, and he has started searching for a job; potentially working at the Burger king in Havre. His uncle, (right) is visiting from North Dakota, where he works as a consultant for Native American related issues on construction sites and for oil companies. His job is to make sure that no burial sites or holy places are disturbed in construction, and he monitors to make sure that if any ancient Native American artefacts are unearthed they are properly cared for. 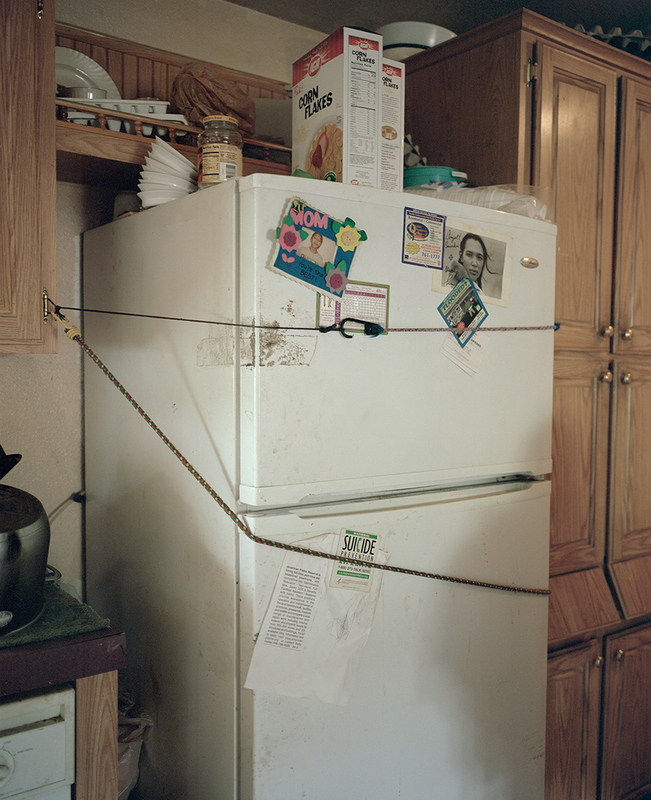 Elastic ropes hold the refrigerator doors closed in Jasper Lewis’s home in Lodgepole. If the bungees are not in place, the doors will not stay shut, but Lewis and his family do not have the resources to replace the fridge at the preset time, so they make do as best as they can. Resourcefulness and creative problem solving can be found all over the Rez, especially because they are so remote. All retail is so far away – traveling to the nearest hardware store takes two hours. 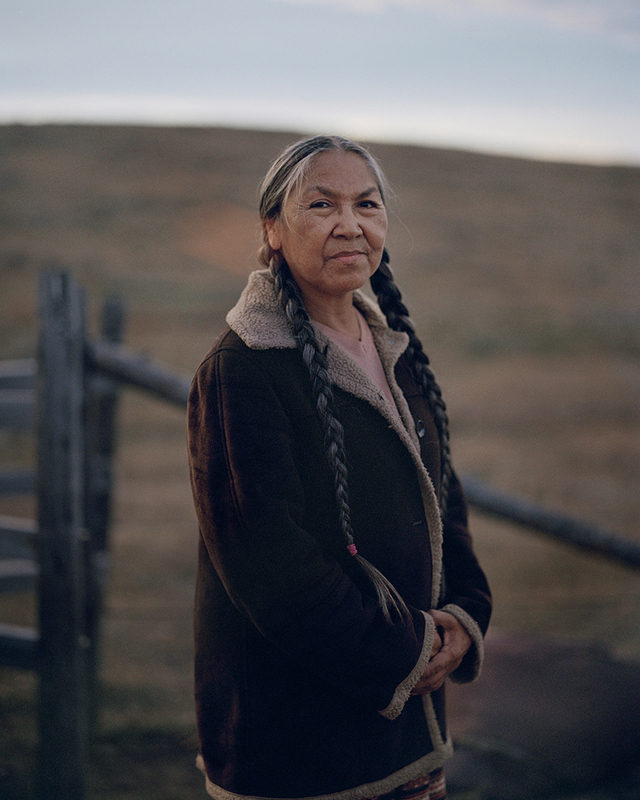 Ranita Longknife in-front of her small Horse paddock outside of the Fort Belknap Agency. Often owned Family land is far away from any settlement so it is not connected to any power or water supplies. This devalues the land significantly. 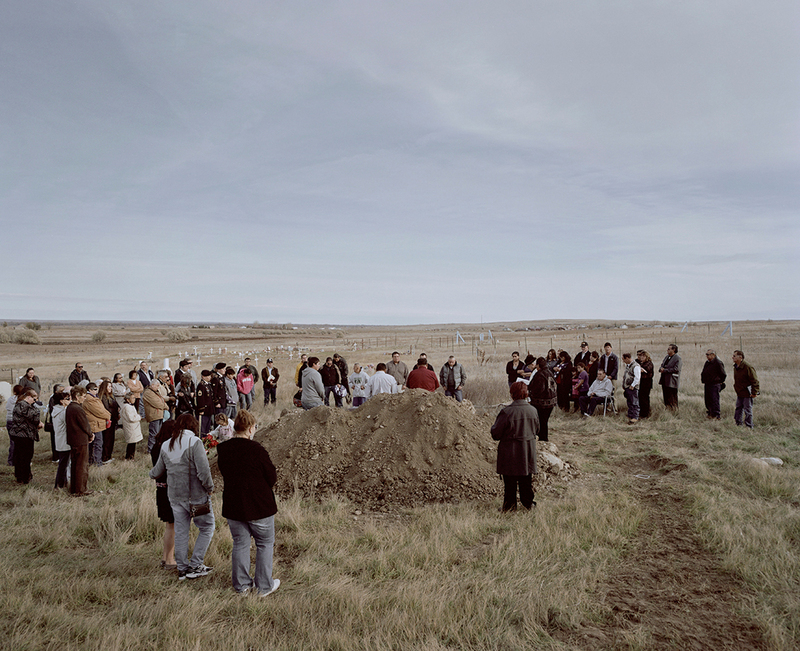 A funeral on a near hill next to the Fort Belknap Agency. There is a funeral almost every week. Life expectancy on Reservations is often below the national average. Domestic violence, drug abuse and especially alcohol abuse are common. Numbers are equal to developing countries. During the funeral people play the hand drum and sing the ones (who-is-gone) song to help the spirit to get back to the sky people. 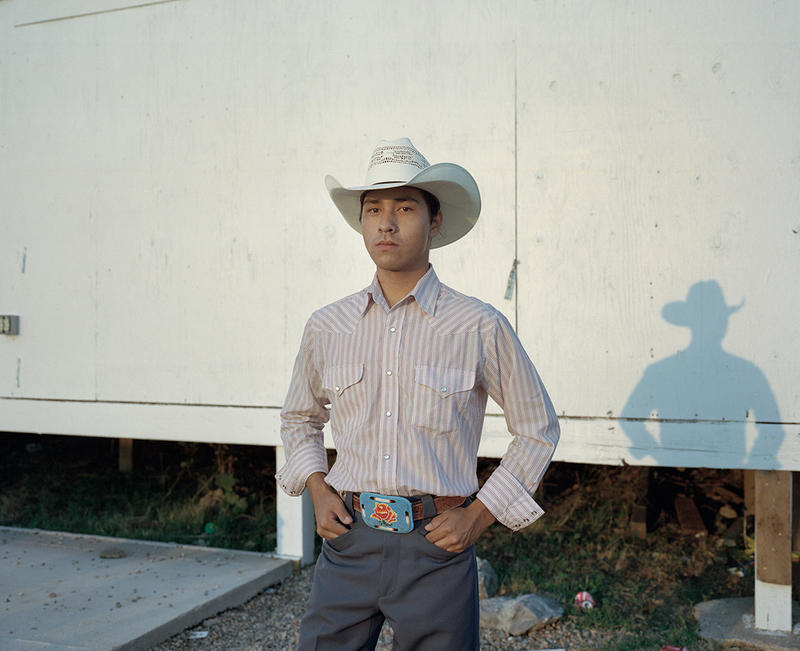 Dax Wing, 18, stands behind the announcers stand at the Rocky Boy Powwow in Rocky Boy, Montana. 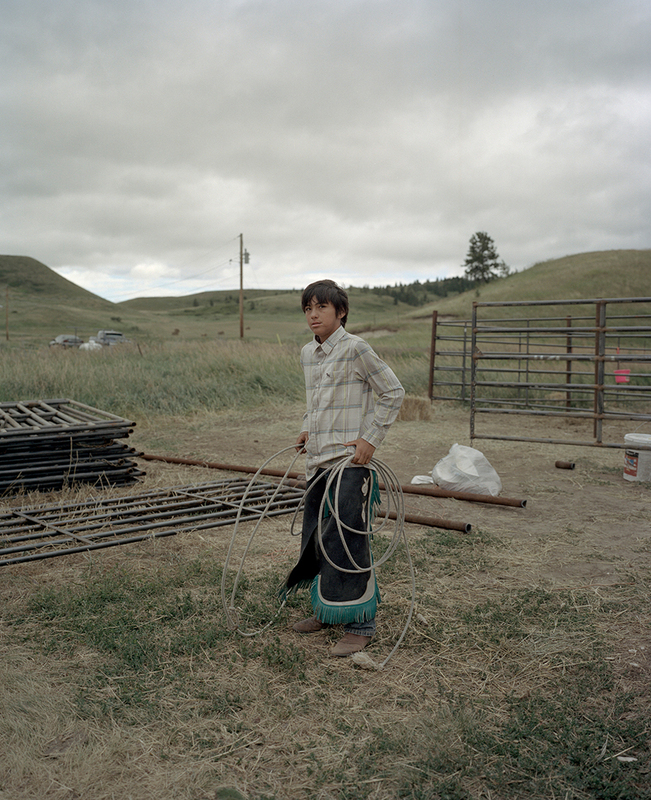 Wing is a farmer and cattle rancher who lives on the Ft. Belknap reservation. He is very particular about what he wears, preferring a high-end Western look; sparing no expense on high end cowboy boots or a delicately hand-beaded belt buckle. “Clothes make the man,” he says. 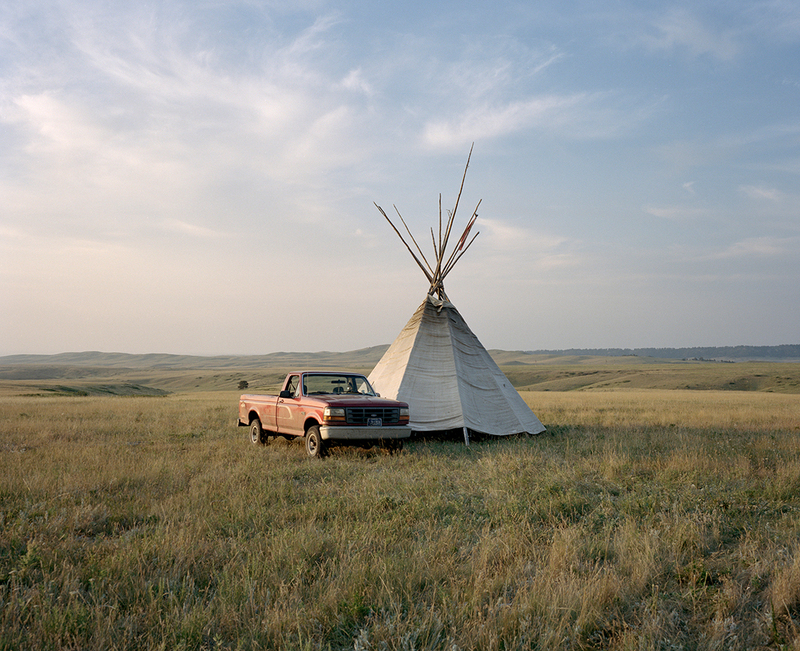 A Tipi stands on ceremonial grounds outside of Lodgepole, Montana, at the annual Sundance ceremony. The event is considered to be the most spiritual ceremony of the Native calendar. During the ceremony, which stretches for four continuous days, friends and family come to support the participating dancers. These supporters camp modern tents, or, if they have it available, they camp in teepees. Loved the episode, and a nice change of pace. The street is everywhere right and not just the proverbial “street” per-se. Looks like Felix has a great future ahead.